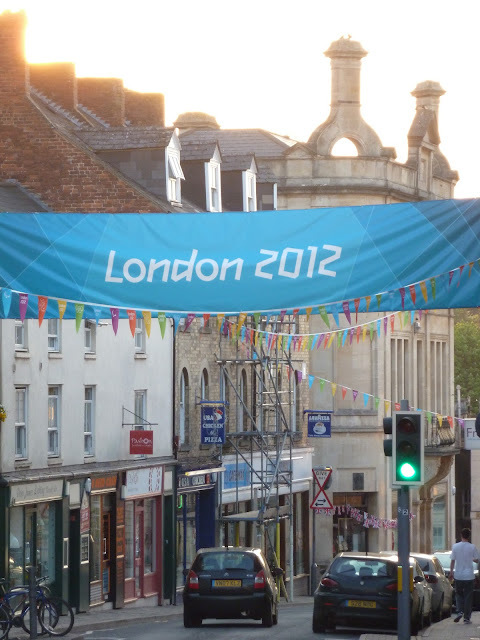 Tales from the Week Day Home: Olympic Torch Relay Hooray! 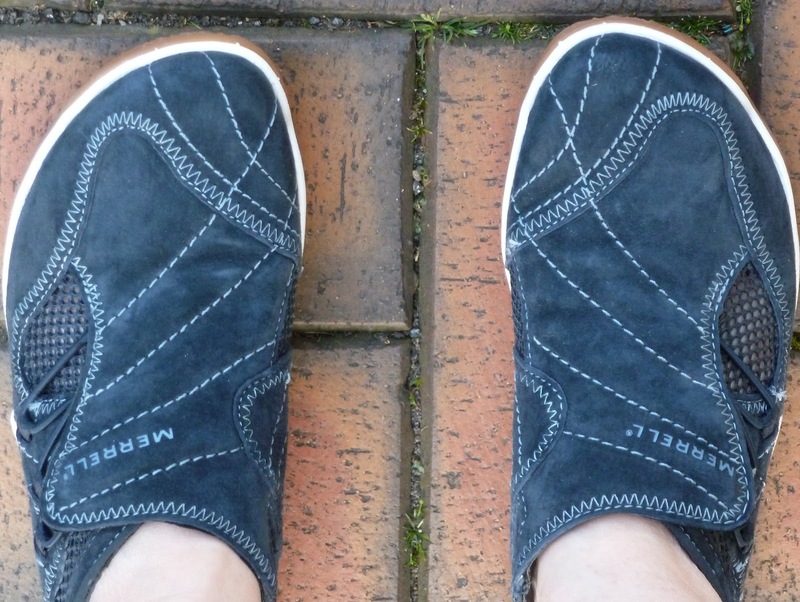 It's been such a warm, sunny evening here that I thought I'd put on some comfortable shoes and take you out of the week day home for a wander round town. 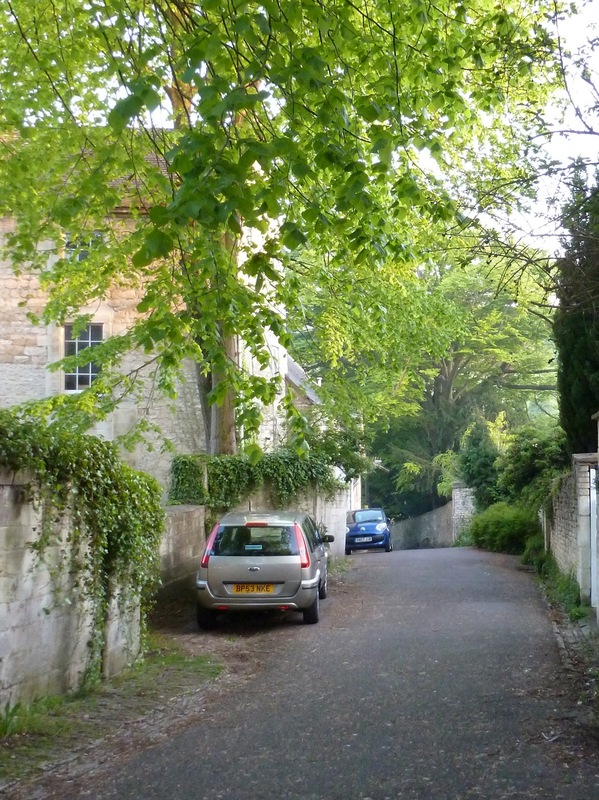 First we go down the steep little lane that leads to the local supermarket. I never get bored with this walk and it's especially inviting at this time of year when the leaves are still young and fresh enough to be lime rather than just green. 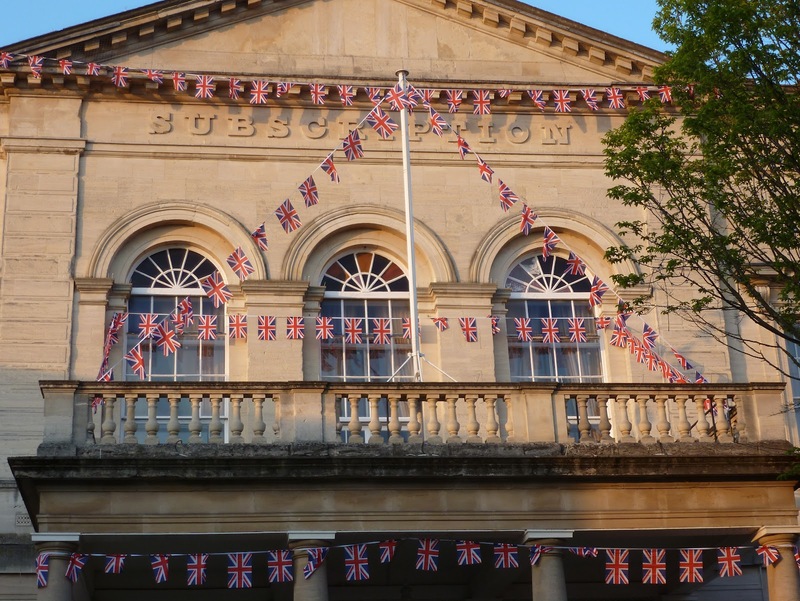 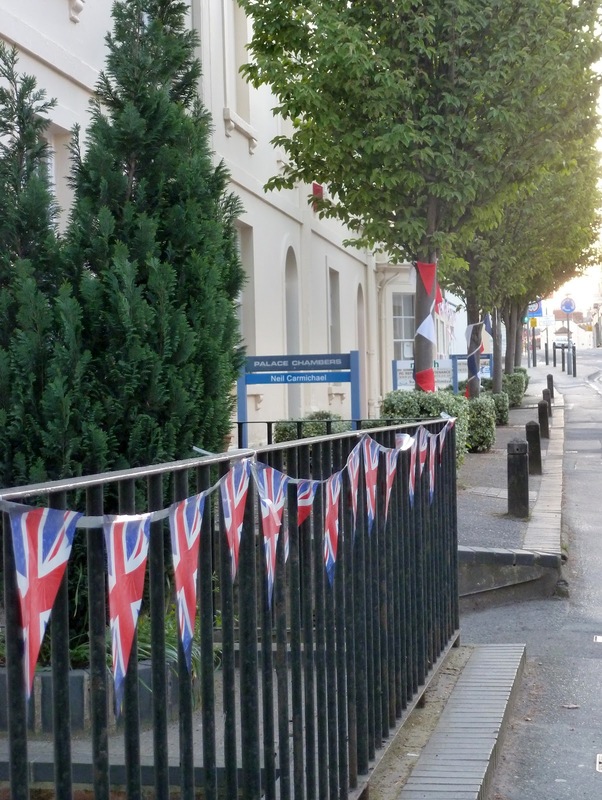 And here's the road into town all dressed up with bunting on railings, in shop windows and wrapped round trees! Yeayyyy!! 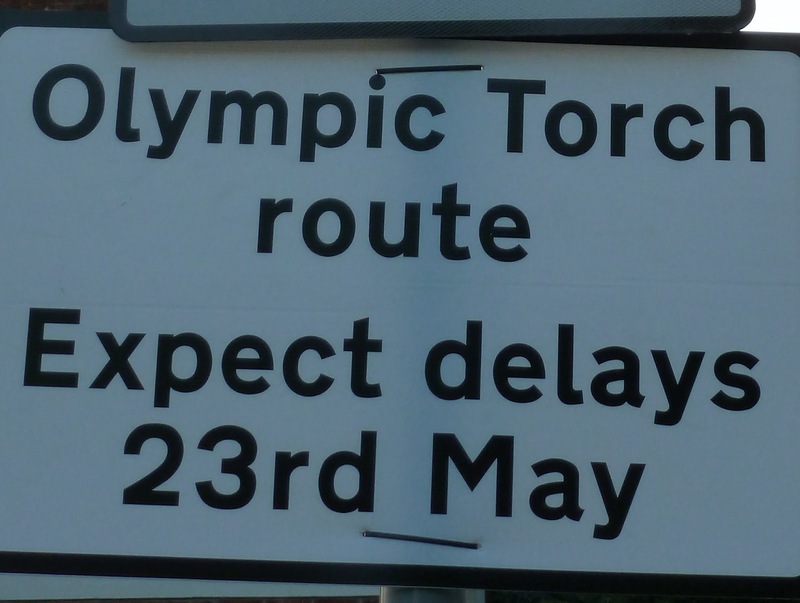 The torch is coming our way! 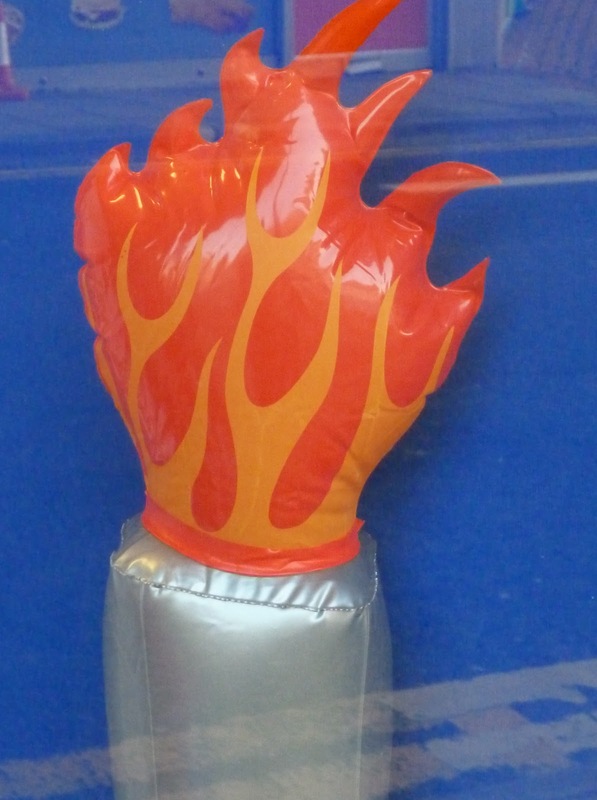 And if it should go out, there's an inflatable one in one of the shop windows! 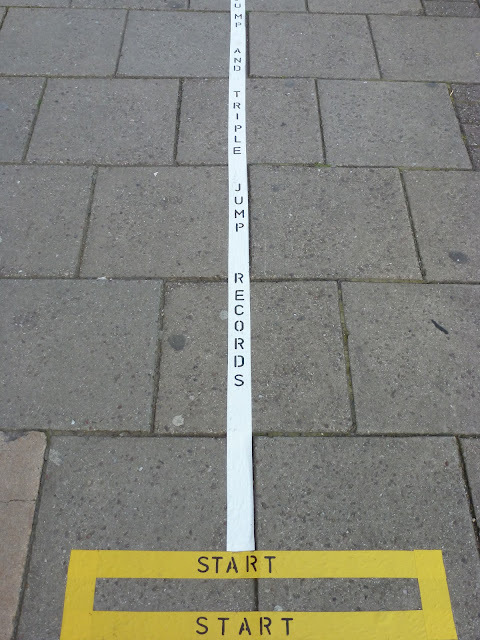 There are also some pavement Olympic facts like this tape stretched out to show the length of the gold medal winning distances achieved by triple jumpers. I can't show you in a photo but the longest ever jump was HUGE!! 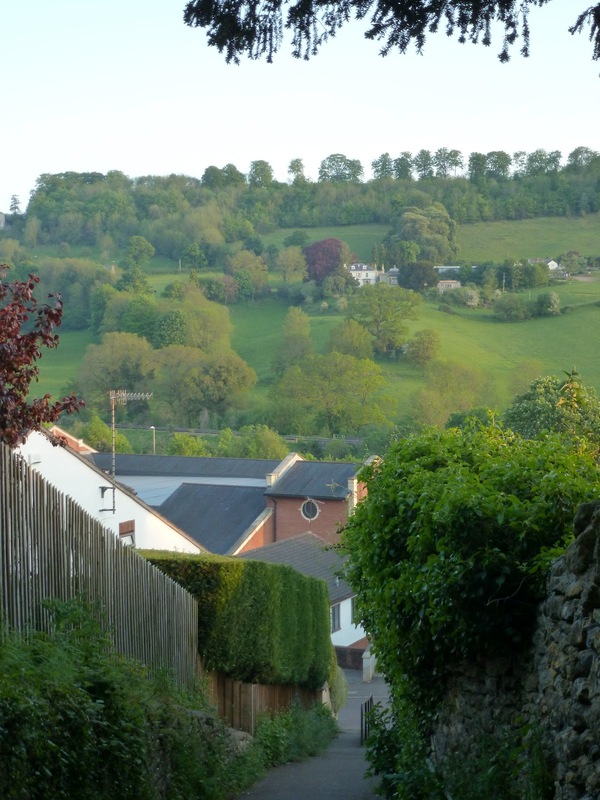 And so back up the hill to the week day home. 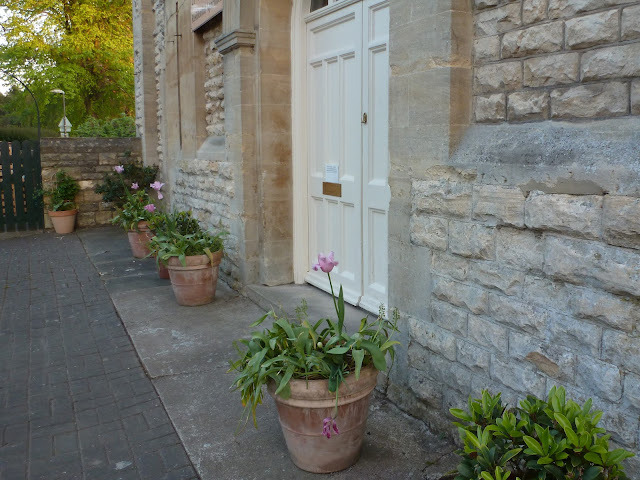 The warm weather is set to continue so hopefully lots of people will line the streets to cheer the torch on it's way through the beautiful Cotswold hills to Cheltenham.